Enrique in Ernie true professions !!! Great dealership, great people! I'll never go to another Ford store! My story starts last year when I bought a used car, and vowed to come back if ever I was in the market for another vehicle. 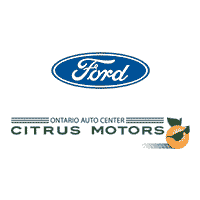 Their service was second to none and I was super impressed.This time around my son wanted to purchase a new vehicle, a 2019 Mustang GT, and I told him to make sure he went to Citrus. I went with him to assist him. All I can say is that if I ever have to purchase yet another car, it will be from here. Not only were they quick, efficient, but friendly, accommodating, and professional. They treated my son (23 yrs old) with respect and with his best interest in mind. Within 3 hours of arriving, he was driving off the lot with his new ride. Thanks to Joey for being so amazing! The process was enjoyable start to finish. No pressure, hassle free, loved it! The restrooms were clean but it just needed more air. It was really hot.